Making the decision to join the military and serve one’s country is a big commitment that can bring significant and life-changing consequences if a person is injured in the line of duty. As conflicts in the Middle East continue, more military service personnel will risk the possibility of sustaining significantly- and permanently- disabling physical and psychological injuries that make it impossible for them to work. Disability benefits are available for military veterans through the Social Security Disability Insurance (SSDI) program and the Veteran’s Administration (VA). These are two separate federal disability benefit programs that have different criteria for approval, which means getting approved by one agency does not have any influence on the outcome of the other’s decision. However, there are special rules that govern SSDI claims to make the process somewhat easier and faster. 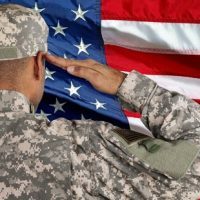 An overview of when disabled veterans qualify to apply for SSDI, and how their claims differ from standard SSDI applications will follow below. Just like any other SSDI applicant, wounded veterans must have worked long enough and paid a sufficient amount of Social Security taxes to earn the requisite number of work credits to qualify for SSDI. The number of necessary credits varies by a person’s age at the onset of a disability, but is generally 40. 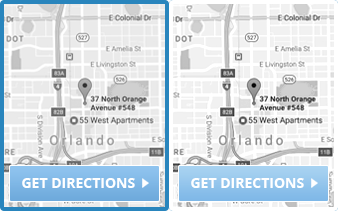 These credits may be earned through active military duty or at a civilian job. In addition, the veteran must meet the Social Security Administration’s (SSA) definition of disability, which requires the applicant be completely disabled and unable to perform any type of work. The disability must be expected to last at least one year or result in death. This differs from the VA’s disability program that allows wounded veterans to get partial or percentage disability benefits depending on the severity of the disabling condition. Although the qualifying standards are the same for civilians and those in military service, there is an expedited review process for military service personnel that became disabled while on active duty starting October 1, 2001 and later. It does not matter where the disability occurred, meaning the disabling injury does not need to be a related to military duty, just that it occurred while the individual was on active duty. These applicants are all processed as critical cases, and can receive notification of a decision in weeks instead of months. This expedited status runs through all stages of the SSDI process, so even if an appeal is necessary, the timeline will be significantly shorter. In addition to expedited review, disabled military personnel are not automatically disqualified from receiving SSDI benefits based solely on being listed as active duty and receiving full military pay. Since it is possible for military personnel to receive full pay while sick or injured and working on a limited duty assignment or undergoing therapy, this situation does not automatically disqualify an applicant. Instead, the SSA will focus on the tasks the individual actually performs as part of their daily job to decide if he/she is disabled. Being disabled and unable to work is a devastating experience. Developing a disability as the result of military service, while laudatory, does not make the suffering any easier. Working with an experienced disability insurance attorney can at least ease the process of getting the money you need to support yourself and your family. Farrell Disability Law knows the ins and outs of federal disability law, and can help you get the benefits you deserve. 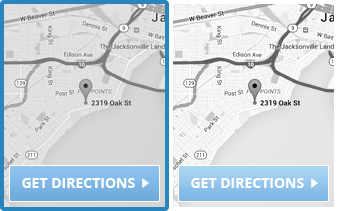 If you live in Jacksonville, Middleburg, Neptune Beach or the surrounding area, contact us for a free consultation.